The main thrust of this site is to help preserve and promote the music that is dear to my heart. 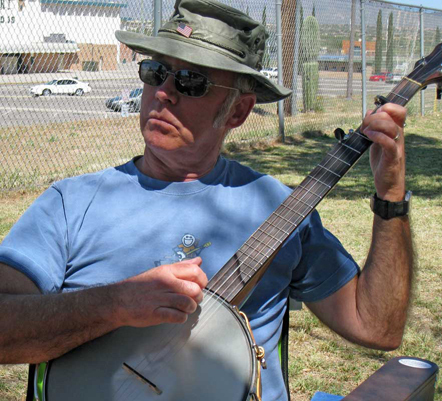 That music consists mainly of the Old Time tunes and songs that came from the Appalachian/Southern Mountains, and was performed mainly on fiddle, 5-string banjo, guitar, mountain dulcimer and voice. Much probably came from the English, Irish and Scotch immigrants, who brought their heritages and their music with them. I also like what is commonly referred to as "folk music," so you are apt to find some of that here, too! Besides the music, I may add other things that I am interested in. So, this may turn into a rather eclectic site, but then, I've always been a sort of eclectic fellow!